[prMac.com] San Francisco, California - 128bit Technologies today is happy to announce the addition of 177 new commercial use fonts to its Premium Fonts collection on the Mac App Store, as well as multiple language support for the custom font preview app. The font preview app for the Mac App Store version now supports English, French, German, Spanish, Italian, and Japanese. Need a fresh approach to creative design projects? Tired of pulling the same old styles from your stale font collection? Need to change the way your text looks in a presentation, print project or a graphic design project? Download brand new premium font designs that just came off our development floor. This collection now includes 161 original font families, with a total of 2,018 fonts in all. 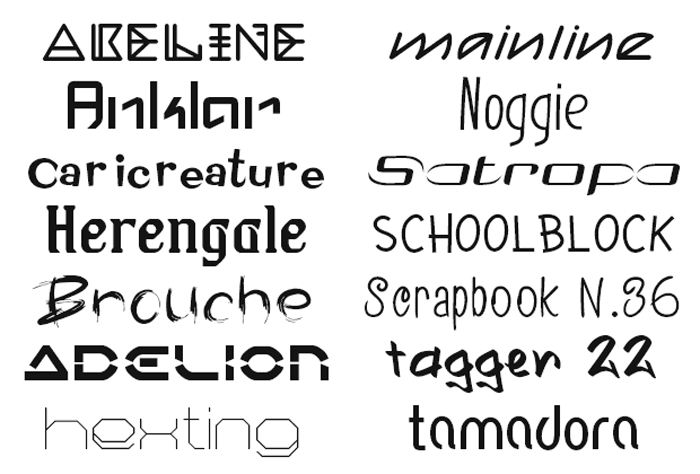 Each premium font in this collection just came off our design floor so you will not find them anywhere else. This collection is completely different from the 1000 OpenType Fonts collection offered by 128bit Technologies, as well as all Free Fonts collections (we never overlap or duplicate the fonts in any of our collections!). MacAppware is a division of 128bit Technologies and a dedicated Mac software developer currently offering design, image editing and disk utility applications; unique commercial use font collections; and a carefully curated rotation of bundles and deals. Copyright (C) 2015 128bit Technologies. All Rights Reserved. Apple, the Apple logo, Mac OS X, and Macintosh are registered trademarks of Apple Inc. in the U.S. and/or other countries. All other trademarks are the property of their respective owners.